If you have recently been diagnosed with an ovarian cyst, and you are undergoing severe to moderate pelvic pain, you may have been prescribed with medication to deal with the pain. However, you may also be aware that medication is accompanied by certain side effects and risks, which you wouldn’t mind avoiding, if at all possible. Heat up a warming pad, or fill up a hot water bottle with warm water. Place the warm bottle or pad on your lower back, regardless of whether you are lying down or sitting up, or even working at your computer, for instance. If you are much too tensed up about your work or other issues, and are unable to cope with the additional pain of your ovarian cyst, take some time off. Fill up your bubble bath with warm water, and soak in it until you feel relaxed and able to deal with everything in a better way. I am sure you already know this, but it is worth repeating. Too heavy intakes of caffeine, including coffee, colas and chocolates will only serve to increase the pain that you are already feeling. Therefore, try to avoid caffeine, and instead, opt for herbal teas. 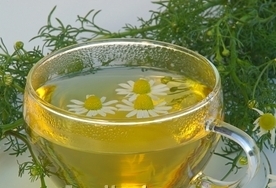 Chamomile tea works wonders for treating pain, as does raspberry tea. Also avoid consumption of alcohol, since experts believe that alcohol is a cancer risk in itself. Never ever make the mistake of holding your bladder. Whenever, and as soon as, you feel the urge to visit the toilet, do so, immediately. Additional pressure on your bladder when you are already suffering from an ovarian cyst is not at all a good idea, and you must go whenever you need to, immediately. You must start to make changes in your diet, because experts believe that certain dietary factors like intake of estrogen-laden foods like tomatoes, non-organic red meat and dairy products, and also higher carbohydrate consumption tend to fuel painful ovarian cyst. You must reduce your intake of these products and opt for others instead. 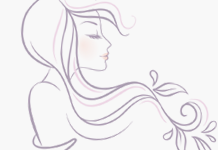 With the right remedies, you will be able to handle, naturally, your painful ovarian cysts.